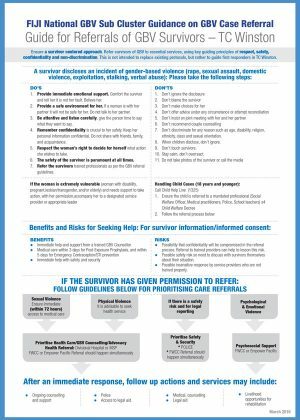 Ensure a survivor centered approach. Refer survivors of GBV to essential services, using key guiding principles of respect, safety, confidentiality and non-discrimination. This is not intended to replace existing protocols, but rather to guide first responders in TC Winston.